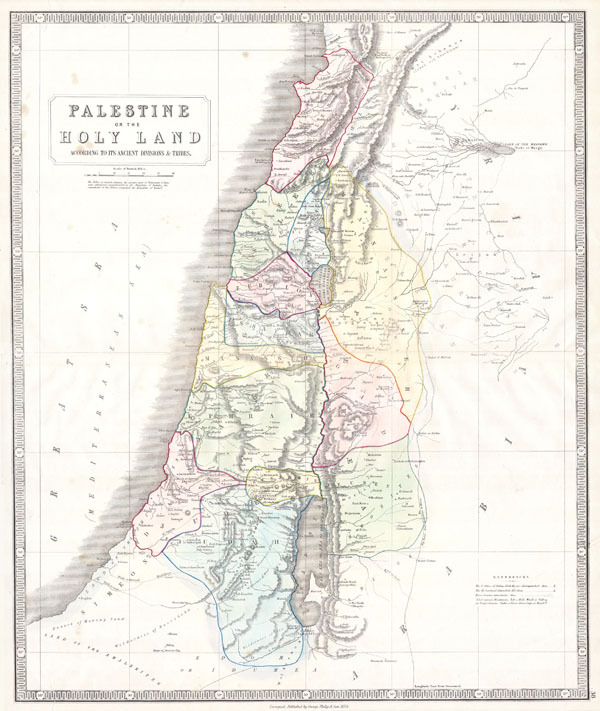 Palestine or the Holy Land According to its Ancient Divisions & Tribes. George Philip (1800-1882) founded his map publishing firm in Liverpool, England, in 1832. The firm, which still exists, is became one of England’s most prominent publishing houses. In 1902 Philip established the London Geographical Institute, a factory where he embraced modern printing techniques to produce thousands of economically and high quality maps. Very good condition. Minor closed and repaired tears to margins. Blank on verso.